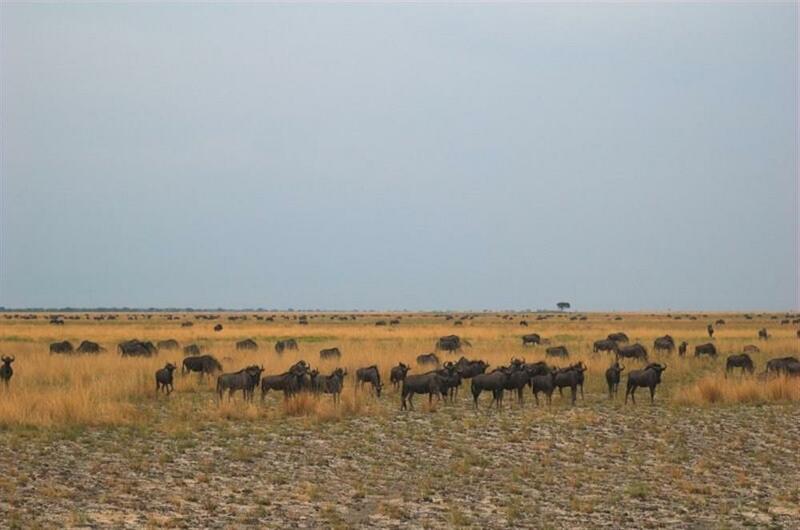 Many seasoned Africa travellers have heard of these vast open grasslands in the far west of Zambia but very few have been there. This notorious status is due to the wildebeest population - some 35,000 blue wildebeest that move between the western boundary and the centre of the plains. Many say this is the third largest migration in Africa. However, the movement is not en masse. 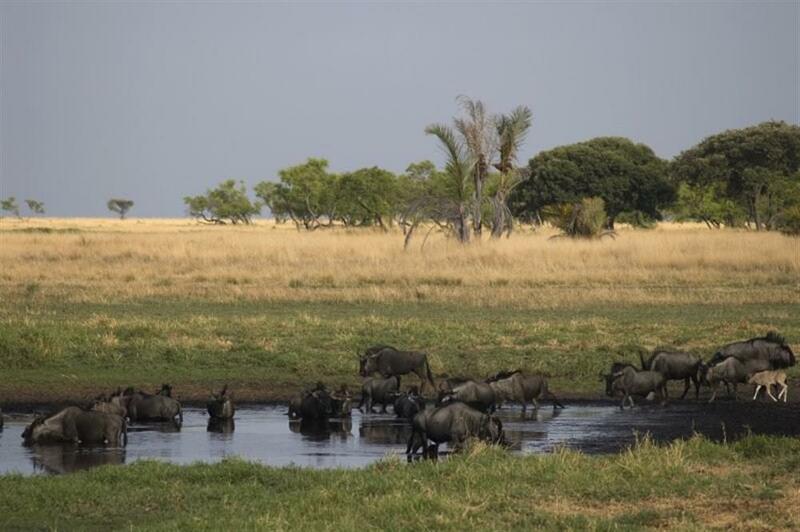 You tend to see large herds of up to a 1000 wildebeest, with zebra and sometimes tsessebe amongst them. The Liuwa Plain is an immense wilderness area, brimming with birds and home to huge numbers of animals. The landscape is completely flat and the skies vast - here you really are in the middle of wild, remote and isolated lands. The bird life throughout the year is spectacular. It is home to large groups of crowned crane, sometimes numbering several hundred and often mingling with the many wattled cranes that are never far from view. Bustards, both Denham and white-bellied, are common and secretary birds stalk the plains. The water birds are diverse in species and the sheer numbers are staggering. Other than wildebeest, there are zebra, tsessebe, red lechwe, oribi and steinbuck with (the less common) roan, eland and buffalo. The predators include hyena, large packs of wild dog, cheetah and a single remaining lioness that lives near the camp, who was joined by two males in 2009. Sightings of side striped jackal, porcupine, a huge python and other specials always enhance the day. The safari is based at the African Parks camp, Matamanene Camp, which consists of four en suite safari tents. 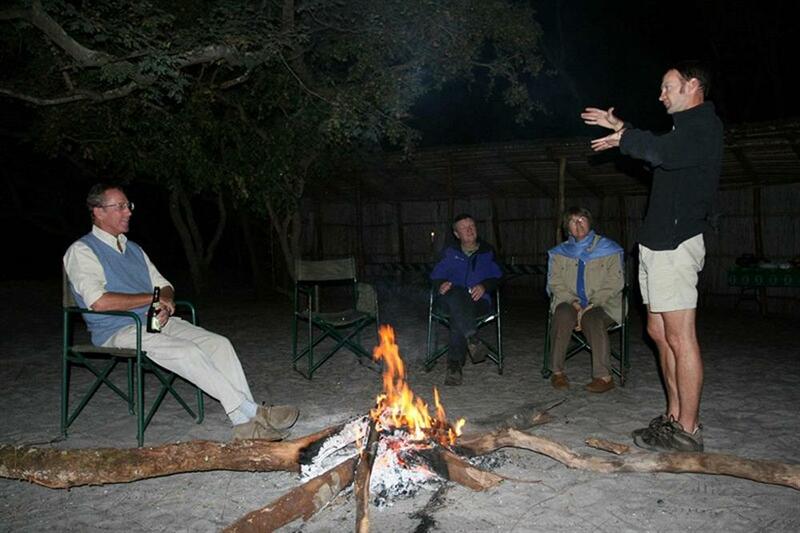 Each safari will be 4 or 5 days, maximum of 6 guests if individuals, 8 if a single group. Safaris run late November for 2 weeks and then May to mid June.